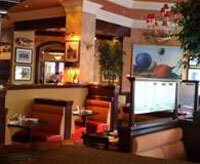 The News Room offers an American eclectic menu in a warm comfortable environment. 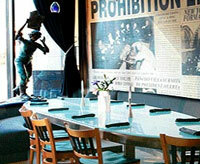 Whether planning a casual gathering or a private dinner, The News Room offers a multiplicity of space to adapt easily to any event. Conveniently located on the Nicollet Mall strip in the heart of downtown Minneapolis, we are only steps away from many hotels, Orchestra Hall, and just a few blocks from The Target Center & Target Field, The Orpheum, Pantages and State Theaters. Heartland Restaurant features North American Midwest Regional Cuisine that employs indigenous and cultivated ingredients from the American and Canadian Midwest to create a nightly changing menu that features two fixed price menus along with extensive a la carte selections. The sources for these ingredients are small family farms and artisan producers who practice traditional and sustainable agriculture. Chef Lenny Russo is a 2010 and 2011 James Beard Foundation Best Chef Midwest Nominee. Whether dining in or picking up a rotisserie chicken, baguette and bottle of wine to go, our guests enjoy an array of options made with the best local ingredients and without additives, preservatives or processing. 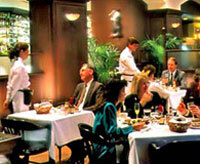 FACES mears park has an extensive wine list featuring organic, biodynamic and sustainably farmed options. 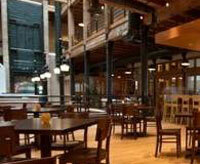 When weather permits, guests can be seated on our patio and enjoy scenic views of Mears Park. 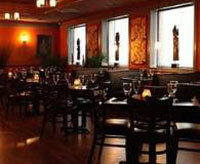 Located in Downtown St. Paul, Señor Wong has one of the most unique dining experiences in the Twin Cities. Featuring mostly traditional Asian and Latin dishes, Señor Wong introduces guests to the best flavors and sensations from each culture. The menu also consists of fusion items seasonally crafted by Executive chef Cody Monson and features such items as, Miso Glazed Roasted Halibut with forbidden rice, Mole Bone-in Pork Loin with wild black quinoa-potato puree and Yuzu Cointreau Duck with gingered sweet potato “spatzle”. 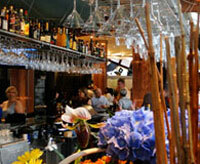 Señor Wong’s atmosphere is casual with a touch of fine dining, offering a full bar with late-night dining. The restaurant features a great selection of small production wines, premium sake, locally crafted beers and imported beers from Asia and South America. So take a culinary adventure through Asia and Latin America and make a reservation at Señor Wong, one of the premier destination restaurants for any occasion. The seamless combination of cutting edge and comfort , of trends and tradition, of fresh thinking and established methods -- Kincaid’s is the New Classic American restaurant.